Simple in design yet powerful in function, the Korg PadKONTROL is a MIDI studio controller with 16 trigger pads and several customizable features. Especially useful for creating realistic drum parts with plug-ins such as Battery, iDrum or EzDrummer, the PadKontrol also can activate any command within your DAW via MIDI signal. This includes Play and Record, Mute and Solo, and complex automation tasks. Place the CD that comes included with the PadKONTROL into your computer's CD drive. If using a PC, select the disk components you want to install. On a Mac, select the Editor/Librarian folder and double-click the .DMG file. Using the USB cable provided, plug the PadKontrol into an available USB port, and turn the power switch to "USB." You should see red numbers on the LCD screen and soft pink lights illuminating from the trigger pads. Open your favorite DAW, sampler (such as Kontakt or MachFive) or standalone software instrument and test out the pads. In most cases, the sound source will automatically detect the PadKontrol. At this point you can customize what MIDI functions each pad, button and knob controls. Refer to the instruction manual for your sound source for help with linking the program's advanced functions to the PadKontrol. If you can't hear any noise coming from your sound source, before referring to your DAW help manual, verify that your sound source is set up to receive input from MIDI channel 10. By default, the pads send signals to this channel. If MIDI channel 10 is set up for input and you still don't hear anything, check the MIDI in and out for that particular track (DAW) or layer (sampler). 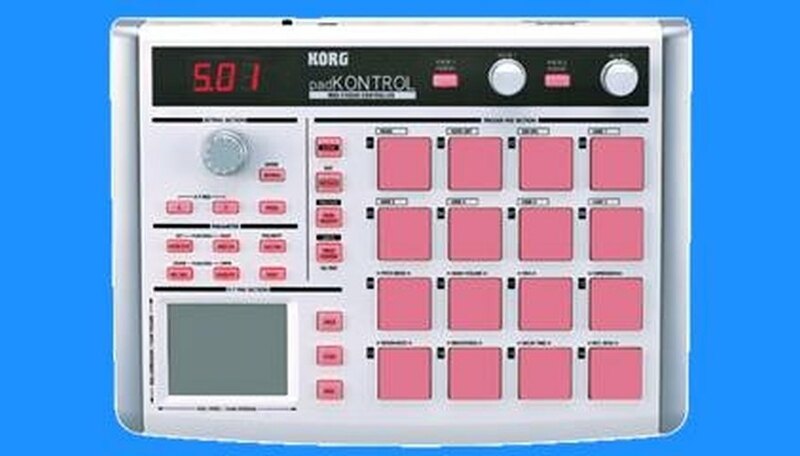 Verify that the PadKontrol has been selected from the MIDI-in dropdown menu. Check the MIDI-out to ensure that either the software or instrument you are trying to play via your DAW has been selected. If a MIDI-out is not selected there may be signal coming in, but no sound will come out. Torrie Jones is a producer, composer and writer based in Los Angeles, Calif. He enjoys writing music, watching and writing about sports and being an all-around renaissance man. He currently writes for "Filter Magazine," "East Bay Express" and Mxdwn.com.